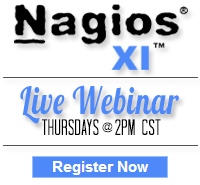 Occasionally we get support requests from admins who need to uninstall Nagios XI in order to perform a fresh install or complete a move of XI to another server. In order to facilitate the cleanup and removal of Nagios XI on an old system, we put together a simple uninstall script and related documentation. Alex, I commented out the init.sh line, and then had to modify the xi-sys.cfg line to: “. ../var/xi-sys.cfg” and then the uninstaller would at least proceed to ask if I was sure if I wanted to do it or not. Haven’t tested it any further then that.